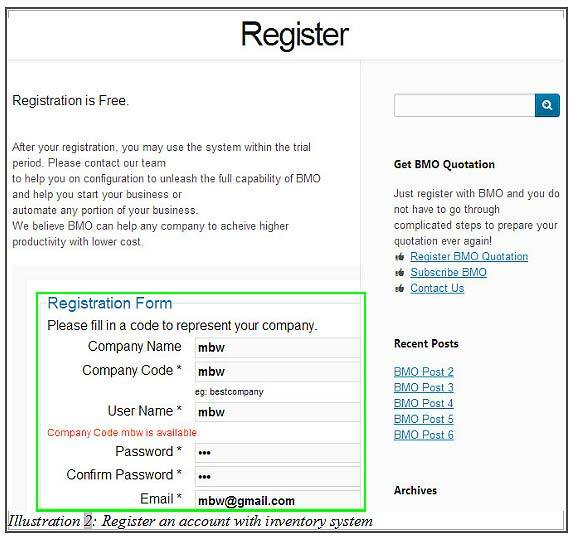 BMO Online Inventory Malaysia requires you to register for an online inventory account before you are able to use it. 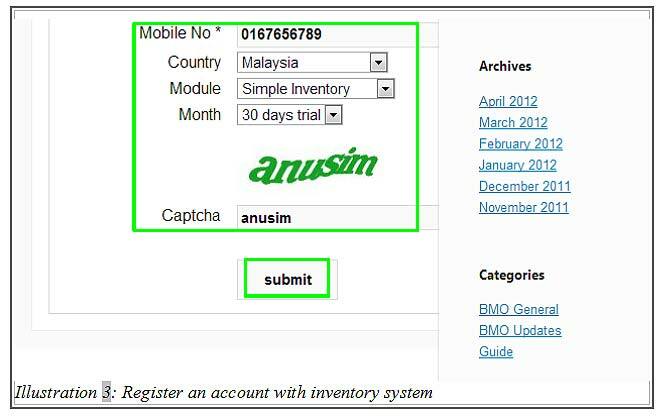 If you have not yet registered with BMO Online Inventory Malaysia, please go HERE. Once you have your BMO Online Inventory account, you will be able to use your online inventory system. 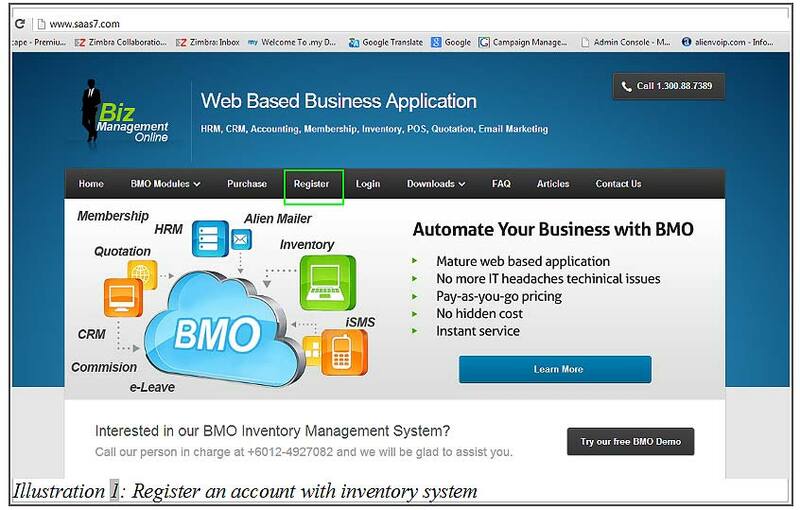 In this tutorial, we will guide you on how to register for an BMO Online Inventory account. 1.Click HERE to register for an BMO Online Inventory account. 2. Fill in all the necessary information during the registration’s session. Please take note that you will not be able to change the Company Code after account is activated. 3. Submit the registration form after you have fill in all the important information as well as the Captcha field (for verification purposes). 4. A message would appear to inform you that the registration has been successfully submitted.